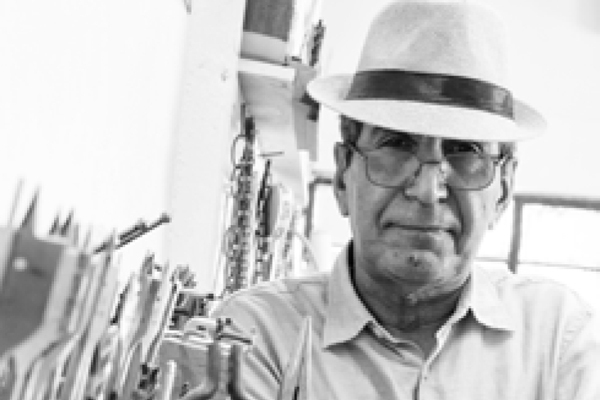 Khalil Al Hashimi the pioneer in sculpture and the winner of the Merit Award at the first Ministry of Labour and Social Affairs Exhibition in Bahrain, is joining the artists at On the Wall 2019, a dedicated event to promote Bahrain Artists to a wider audience which is being held as part of this year's Interiors Expo. Al Hashimi holds a Master degree in Sculpture from the Academy of fine arts, Leningrad, Russia. His works have been exhibited internationally and across the Gulf region. His career spanning more than three decades has earned him several awards, leading to the GCC presenting him with a recognition award for his great contribution towards the visual arts, said the organisers. Al Hashimi's vision seems to transform the nonphysical into the physical, which often includes being able to reduce an idea to its bare elements. He is known for doing this with his iconic bird sculptures, transporting us from the material to the ethereal. The elegance of composition and superior craftsmanship make his works seem graceful and almost floating, despite being made of heavy materials like stone or metal, it stated. Along with Khalil Al Hashimi there will be 30 other artists from Bahrain and the GCC; who will be on display at “On the Wall 2”. The Art show will have artists displaying their talents across a variety of mediums, including painting, photography and sculpture. Some of the Artists will run a series of workshops on Calligraphy and Live Painting and Creativity sessions, said the HCE in its statement.